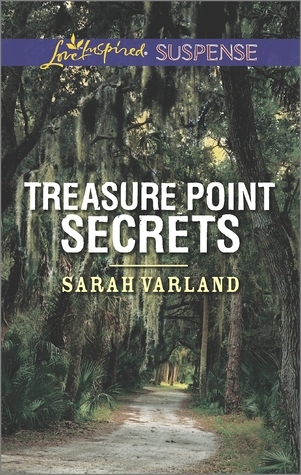 It's been five years since Shiloh Evans encountered the murderous gold hunters seeking Blackbeard's hidden stash. After they killed her policewoman cousin, Shiloh left town to regroup, and earn her own police badge. Because she would see this case solved—someday. She just didn't expect the killers to attack her new home in Treasure Point, Georgia…on the same day her ex-fiancé arrived in town. Adam Cole has tried to overcome his love for Shiloh. But he won't just sit by when she's in danger. Working together, they plan a trap. But springing it requires getting to centuries-buried treasure before the killers get to them. Ok, I am going to put it out there- I am biased. Sarah and I have been friends for a few years and when she said that she was writing a book, I immediately told her I wanted her on my site! Sarah is an amazing mother and woman and I wanted to support her in any way I could. That being said- I generally hate mysteries. If you know me at all, you know I am much more of a fairy tale or fantasy reader. I also told Sarah that I had to be honest with my review- whether I liked it or not, because I really try to write with integrity. If I didn't like the book, it wasn't going on my site. The mystery was good- I like that the action was throughout the book and built up to an intensity- she literally was in danger throughout the entire book. I thought the book was a quick read and one that I absolutely would recommend to others.